Ronnie Landfield, “The Deluge,” 1998. Acrylic on canvas, 108 x 120″. Courtesy of the artist. Photo by Brian Buckley. “Come Together: Surviving Sandy […] had at its core the democratic premise that artists affected by the hurricane would exhibit their work. […] The central gallery offered a grand vista of monumental canvases by Ronnie Landfield. 20 Landfield, whose personal archive succumbed to the flood and yet somehow triumphed through restoration and the added luster of unintended further stain.” 21 Landfield’s two massive canvases at Surviving Sandy symbolized or came to symbolize the maelstrom—or the sun emerging from behind the clouds just after. Corwin, William. “Ronnie Landfield: Where it all Began.” The Brooklyn Rail. November 6, 2012. Panero, James. “Gallery Chronicle.” The New Criterion. November 2011. Cohen, David. 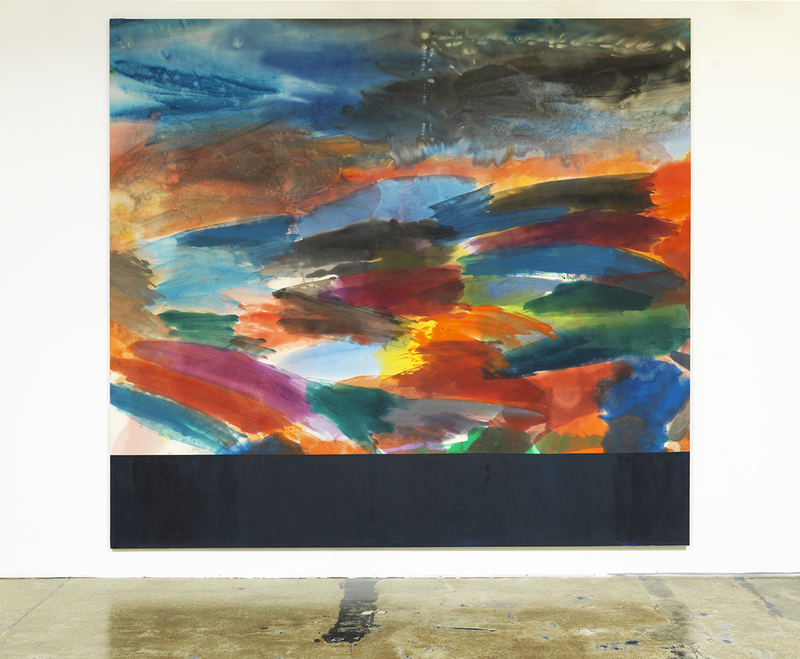 “Color Field, Literally: Ronnie Landfield at Stephen Haller.” ArtCritical. October 5, 2011. Heartney, Eleanor. “Dan Christensen and Ronnie Landfield at Salander-O’Reilly.” Art In America. February 2001. Ret. Heartney, Eleanor. “Dan Christensen and Ronnie Landfield at Salander-O’Reilly.” Art In America. February 2001. Fabricant, Annie. “Ronnie Landfield, One of America’s Greatest Abstract Painters, Gets Swamped.” Huffington Post. November 20, 2012. Corwin, William. “Come Together: Surviving Sandy, Year One.” Frieze magazine. Issue 162. Cohen, David. “Coming Together: Surviving Sandy in Sunset Park.” ArtCritical. December 3, 2013.